The Ethnography Lab would like to announce an upcoming talk by Dr. Jerry Flores, Assistant Professor in Sociology at the University of Toronto. 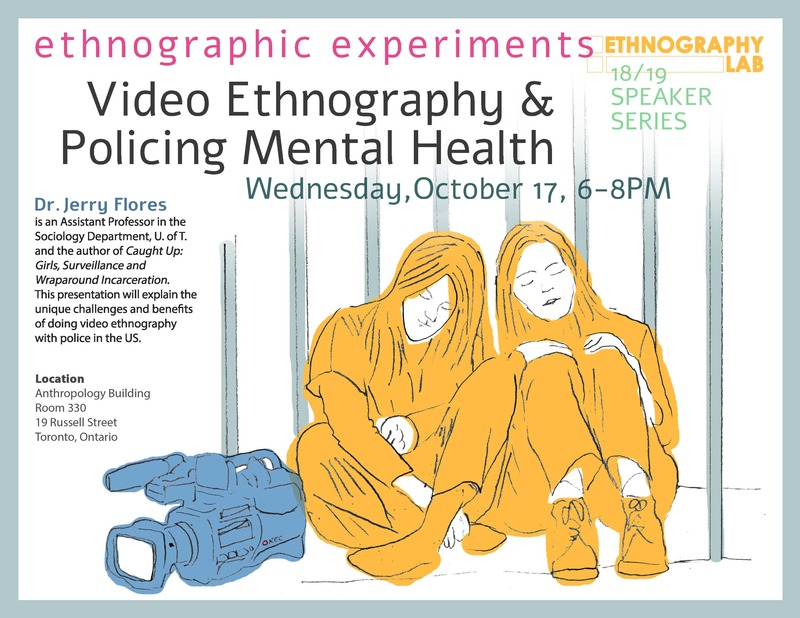 The talk, entitled Video Ethnography and Policing Mental Health in the US, will be held on Wednesday, October 17th, from 6:00-8:00 pm in the Ethnography Lab, Room 330, Department of Anthropology, 19 Russell Street, Toronto, Ontario. The presentation will explain the unique challenges and benefits of doing video ethnography with the police in the US.This research provides a look into police-citizen interactions in a large city on the US west coast. As a whole, the project focused on finding strategies and techniques that allowed police to deescalate volatile situations in non-lethal ways. Dr. Flores will discuss the nuances and challenges of doing video ethnography with the police. Additionally, focusing on a specific set of interactions that police use when interacting with citizens that have mental health issues. This talk is the inaugural event in the Ethnography Lab’s 2018/2019 Speaker Series called Ethnographic Experiments. The event is free and open to the public. Light refreshments will be served.